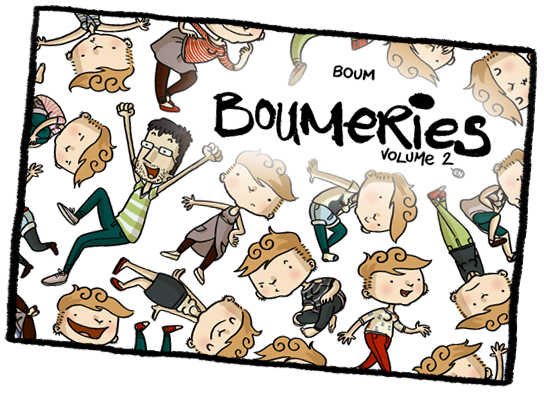 We had a blast last night on Comics Coast to Coast talking with Boum about her hilarious journal comic Boumeries. You absolutely have to read this window into the every day life of a geeky illustrator and new mom in Montreal. Boum finds the sublte things about every day that we can all relate to and wraps them up in her unique sense of humor. Prepare yourself. Boumeries is a deceptively simple concept crafted carefully to make you laugh-out-loud as you read in your favorite cafe. If the nonsensical toilet, Buzz Lightyear dreams don’t get you, the rocket poop will! Pick up a copy of her books! Available in both English and French!